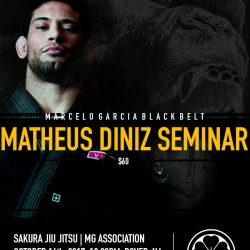 Registration for Matheus Diniz’s Seminar at Sakura for only $60 is now live! Seminar will be held October 14th at 12:00 pm. Click on Pay Pal link below.